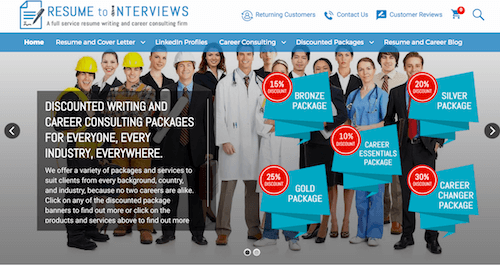 ResumeToInterviews.com’s first thing on the homepage is the process you have to go through in order to receive a great quality paper. You first purchase it, then you fill in a questionnaire, followed by receiving the first draft, collaborating and revising with your writer and finally receiving the custom resume. Besides writing, they also offer career consulting. They claim over 5000 customers over the world were served by them, and over 100 new and existing clients are served every month. Website surfing is pleasant yet a bit anti intuitive. Prices are clearly not the lowest, but not that expensive either. A detailed review of the website is coming up. Have you checked our top companies?